I wasn’t going to start writing my weekly post until tomorrow morning, but I’m currently in the middle of watching three of the last four undefeated college football teams play big games, and now I’m all jazzed up to start writing. It’s exciting enough that the Packers are on tomorrow, but I also get to watch#1 Alabama vs. #5 LSU, #2 Kansas State vs. #24 Oklahoma State, and #4 Oregon vs. #17 USC all on consecutive channels. That’s the most underrated about this entire thing; not having to think of the channel that each one of these games are on, all I have to do is hit the “up” and “down” buttons. As a male, who’s looking to get the most gratification possible with doing the least amount of work, I’m a happy man. I compared last week’s game against the Jacksonville Jaguars to a blind date. Through the matchmaker’s words, and through your own online Facebook creeping, before the date you were confident that the date was going to great and this was going to be the beginning of something special. The only way the date would not go well, is if something out of left field happened or horrible luck prevented the date from happening. Well, there was no horrible luck for the Packers and nothing really came out of left field. Last Sunday’s game with the Jaguars can characterized as one of those games during a NFL season where the heavily favored team looked sluggish and the underdog gave it everything they had. The Packers ended up winning the game 24-15, but the game by no means was easy on the eyes. I can’t figure out if the Packers defense underachieved last week against the Jaguars, or if the Jacksonville offense came to play, but regardless, the Jaguars offense looked competent. Blaine Gabbert threw for over 300 yards and 1 TD, and somebody named Cecil Shorts III caught 8 passes for 116 yards. Cecil Shorts III sounds like a new rap mogul, not a wide receiver for the Jacksonville Jaguars. Safety Charles Woodson and cornerback Sam Shields were inactive for the Packers defense, and the defense at times looked sluggish. The defense just did enough to win, and sometimes in the NFL, that’s what has to happen. As for the offense, Aaron Rodgers threw for 186 yards and 2 touchdowns, giving him 11 TD’s and O INT’s in the last three games. However, without go-to-guy Jordy Nelson in the lineup, at times it looked like Aaron Rodgers was missing his security blanket. James Jones lead the team in catches and yards, with 7 receptions for 78 yards, but no other receiver for the Packers had more than 30 yards receiving. Running back Alex Green had 22 carries, and was only able to gain 54 yards (2.5 yards per carry). Green looked like he was trying not lose his job, rather than taking the bull by the horns and trying to make an impact in the absence of Cedric Benson. I honestly wouldn’t too much stock into the offensive performance of the Packers last Sunday. With playing near perfect football against the Houston Texans and St. Louis Rams, I think the game against the Jaguars was just “one of those games” and they had to grind out a win. At least the offense didn’t make mistakes to put themselves in a position to lose. The astonishing thing about last Sunday’s game was that the Packers Special Teams blocked a punt. Not only did they block a punt, they scored a touchdown. I can’t remember the last time the Packers Special Teams blocked a punt, never mind blocked a punt and then scored a touchdown off that blocked punt. More times than not, the Packers Special Teams gets a reaction of “Oh No! !”, rather than “Oh Yes!! !”, but its good to see them make an impact on a game. Building up some positive momentum is good going into this week’s game against Arizona, seeing how the Packers Special Teams is going to have to go against the always dangerous Patrick Peterson and the Cardinals return game. For you fellow Packer Backers, I wouldn’t be too nervous about last week’s game. Again, one of those sluggish games that you just get through and hope you win. With the Packers losing three out of their first 5 games, and now being 5-3, the Packers have put themselves right back into the thick of things in the NFC playoff picture. This week, the Packers have an Arizona Cardinals team coming to town that won their first 4 games of the season, only to lose their next 4. With their sluggish game out of the way, the Packers have to bring their A game this week and not give the Cardinals any chances to start another winning streak. For this week’s post, I decided to go with the format similar to how I wrote my previews I worked for an Indianapolis Colts blog. Don’t worry Packer Backers, I did it for the writing experience and I did want to write try and choose the Packers first. My choice of team to follow was either the Colts and the Browns. I really didn’t want to start every week by saying “Well…The Browns lost again, but here are the reasons why it’s not that bad”, so I went with the Colts. (If you want me to physically show you my cheese head or customized Packers jersey for proof that I’m a fan, I will be more than happy to do so) And away…we go!! Although the statistics heavily favor Lambeau’s favorite flamethrower, the match-up might favor John Skelton. John Skelton is facing a defense that is missing three of its key players, one of those players being the quarterback of the defense, Charles Woodson. If Blaine Gabbert was able to get 300+ yards passing last week against the Packers defense, there’s a chance that John Skelton could do the same during Sunday’s game. However, before he’s going to be able to throw, Skelton has to worry about the Packers pass rush (tied for 1st in the league with 26 sacks on the opposing quarterback). Aaron Rodgers is going against a Cardinals defense that is ranked 4th in the NFL in passing yards allowed, and tied with the Packers for 1st in the league in sacks. Going against a defense who is able to pressure the quarterback, but also able lock down the wide receivers is a tricky situation. The protection of Aaron Rodgers has been better since the first part of the season, but if that issue had a chance to rear its ugly little head again, it would be against a defense that has sacked the quarterback 26 times in 8 games this year. In addition, Skelton has his number one receiver in all-world Larry Fitzgerald healthy and probably licking his chops looking at the less than 100% Packers secondary. Rodgers, on the other hand, doesn’t have Greg Jennings (abdomen, groin) and Jordy Nelson is less than 100% with a hamstring problem. Now Packer Backers, don’t get angry with me, when I say the match-up favors Skelton, I’m not saying the Cardinals are going to win. However, you have Skelton going against a banged up Packers secondary with his number one receiver healthy, while Aaron Rodgers is going against a stingy Arizona defense, with his security blanket (Jennings) hurt and Jordy Nelson banged up. The match-up favors Skelton. I take back everything I said about the Packers offensive line being the worst in football. Not only is the Cardinals offensive line statistically worse than the Packers, they’re worse by 11 sacks. No wonder Kevin Kolb is hurt, he got the ever loving crap beat out of him when he was in there. Statistically, the match-up favors the Packers defense. But seeing how the Jaguars, who are pretty much last in every offensive category, were able to get 300+ yards passing on the Packers secondary, that argument’s out the window. The two keys for this match-up are going to be if John Skelton has enough time to throw and if the Packers corners can lock down the Cardinals wide receivers. Like I mentioned previously, Sam Shields and Charles Woodson are going to be out of this game for the Packers defense. The Packers attacking style of defense only works if the secondary is able to cover their man one on one and give the defensive line and linebackers enough time to harass the opposing quarterback. I’m assuming Tramon Williams will be covering Larry Fitzgerald, and that leaves Jarrett Bush to cover Arizona second receiver Andre Roberts, who has shown to be a good compliment to Larry Fitzgerald, so far catching 36 balls, for 454 yards, and 5 touchdowns (leads team in that category). Both corners, Williams and Bush, have struggled at times this year. They have to step up and lock down Fitzgerald and Roberts. I don’t really expect Arizona to try and run the ball, seeing how they had 52 passing attempts Monday night against the 49ers. This is going to give the Packers defensive line and linebackers plenty of opportunity to get to Skelton. 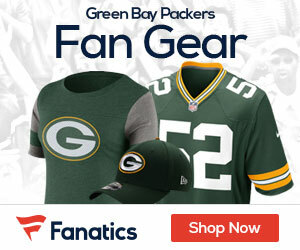 With the Arizona offensive line being as poor as it is, I don’ t think there’s any reason why the Packers defense cannot obtain at least 4 sacks on Sunday. If they do that, I think they have a great chance to win. If they don’t attain that number, I don’t think it’s going to be a good day for the Packers secondary. The keys to this match-up are the same as the previous paragraph; will Aaron Rodgers have enough time to throw the ball and can the Arizona corners lock down the deep Packers receiving core. Arizona is tied for 1st in the league with 26 sacks, the Packers so far this year, at times, have had trouble keeping Aaron Rodgers off his back. The Packers offensive line is going to have to locate Arizona Cardinals linebacker Daryl Washington on every play Sunday, he leads the team in sacks with 8 so far this season. Washington is the Clay Matthews of the Arizona linebacking core; they line him up in multiple spots to catch the offensive line off guard when he rushes. I’m assuming that Arizona cornerback Patrick Peterson is going to be covering Jordy Nelson all day. Again, I’m not sure how much Jordy Nelson is going to be able to give seeing how he was out of last week’s game with Jacksonville because of a hamstring injury. That leaves the other Cardinal corner William Gay to probably split time covering James Jones and Donald Driver. I think the X-Factor of this game is going to be Randall Cobb. Both Arizona corners are very good, so there won’t be much for Aaron Rodgers to go to outside the hash marks. However, I love the match-up of Randall Cobb against the linebackers or safeties for Arizona. If the Rodgers-Cobb tandem works early in the game, maybe the Cardinals bring another linebacker or safety to shadow Cobb, and that might free up Nelson, Jones, or Driver on the outside. One way that the Packers offense can keep Aaron Rodgers off his back is by running the ball frequently today. Even though Arizona is a good pass defending team, surprising, they’re only 21st in the league against the run. A balanced attack is going to be key. James Starks reportedly is going to be getting most of the carries today at the running back position. Starks’ game is running between the tackles and catching screen passes. Starks has the patience at the line of scrimmage that Alex Green doesn’t, which will help him against a stingy Arizona defensive line. I think that Starks has to get the ball at least 20-25 times today to give the Packers enough balance to keep the Arizona defense guessing. I think Sunday’s game is going to be nip and tuck all the way through. The fact that the Packers defense is going to be without Sam Shields and Charles Woodson makes me nervous. I think that the Packers get to Skelton today, but not without giving up some big plays to Larry Fitzgerald and Andre Roberts. If I were Dom Capers, I wouldn’t be as aggressive today against the Arizona offense knowing I was down two key secondary members. However, I don’t think he’s going to do that and the Packers are going to give up some big plays. On the other side of the ball, I think the Packers will be able to run the ball effectively against the Arizona defense. I think James Starks will get between 75-120 yards rushing today, opening up the play action game down field. I think the offensive line are going to give up their share of sacks, but give Aaron Rodgers enough time on key plays to make an impact. I think the Pack pull this one out late with a field goal with less than 3 minutes left, giving them a 6-3 record going into their bye week.